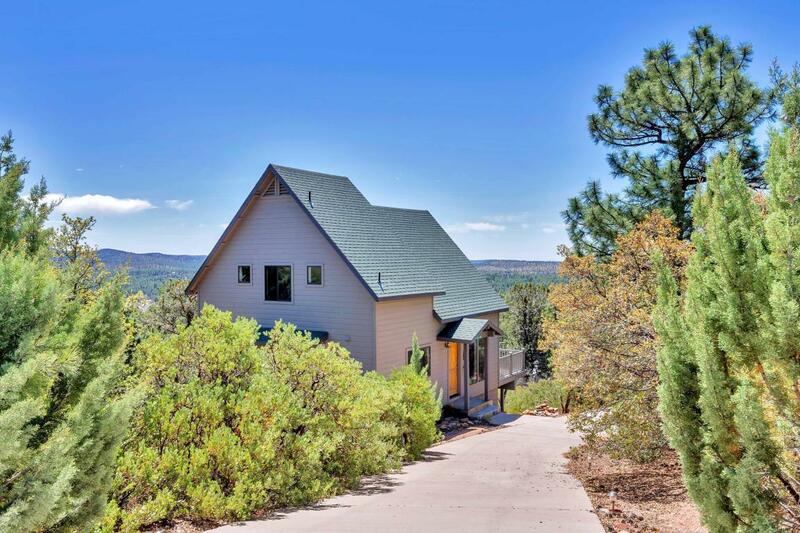 Come enjoy this perfect summer cabin in the cool mountains of Rim Country! This home is the perfect size for a mountain get-away plus its located on a cul de sac street in the gated Portals 4 community, which ensures extra security and privacy. 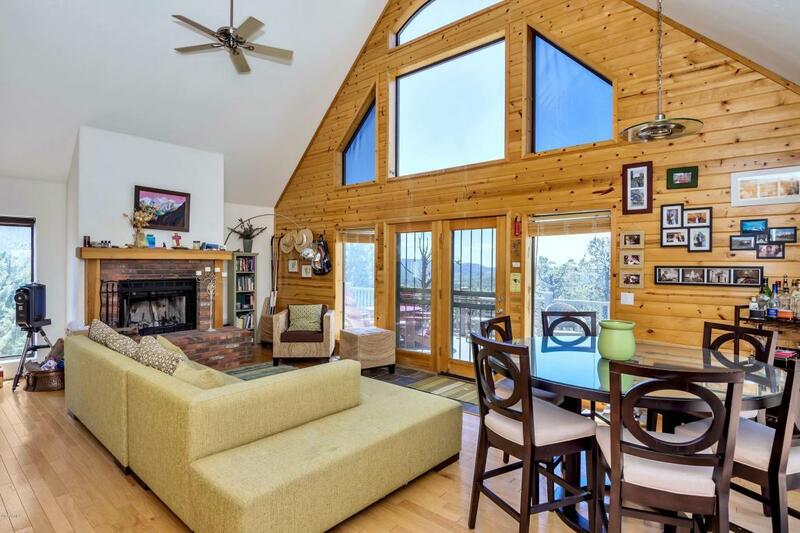 The 2 Bedroom/2 Bath home has an open floor plan with a cozy Great Room with wood floors, brick fireplace with large hearth, wood accents and detailing plus a new, spacious deck so you can enjoy panoramic mountain views. 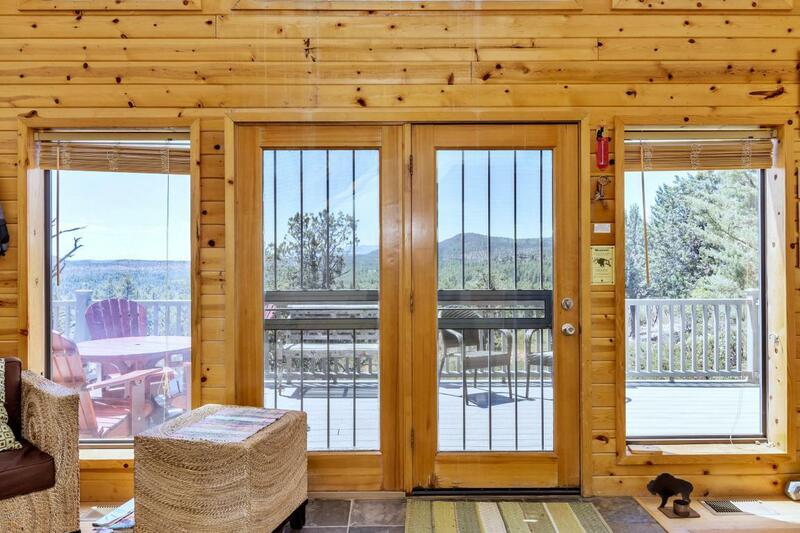 Imagine cool mountain mornings with a cup of coffee or tranquil evenings hearing the wind whisper through the pines as you enjoy the sunset. The master bedroom is on the main level with en suite bath. 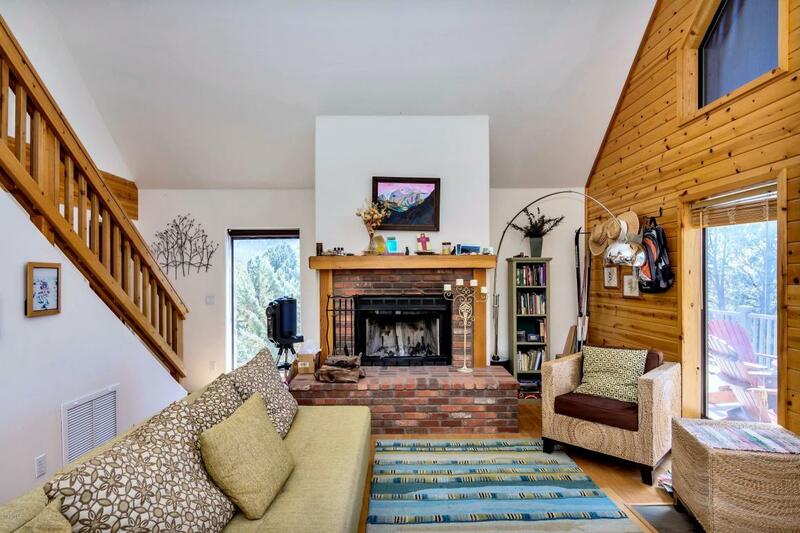 Upstairs is a loft for guests, also with its own bath ... come see this perfect mountain home now!